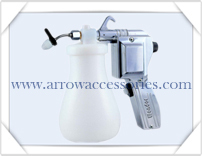 Welcome to www.arrowaccessories.com, manufacturer and exporter of tag pin, tag gun, loop pin, spray gun located in bangalore, india, with exports to Europe, US, Australia, Dubai, and covering over 42 countries, Jay Group of companies has over 30 years of experience in the tag gun, spray gun, tag pin industry. 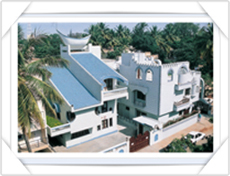 We thank our patrons for their continuous support all these years, and we look forward to more stronger support from existing and new clients! Our technical team is ever ready to help, Design and develop more simple solutions for tagging and stain cleaning for our clients. 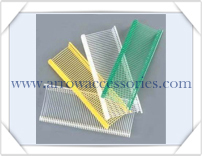 They are the most economical, smart and simple way of attaching a `price-tag' on to fabric, stuffed toys, textile articles, curious and other miscellaneous articles, either by help of a tag gun or just by hand. We are the only company in the world to have developed our own formulated raw material "Special PP", which makes tag pins more soft and prevents kimbles from getting brittle during winter. This is the world over preferred material of ours. 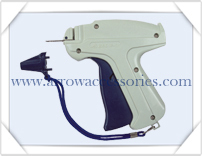 Tag guns help attach price tags to products which you can do with help of different types of tag pins. We produce not only economy models of tag guns, but also premium ranges as well. We produce tag guns suitable for standard tag pins, fine tag pin and micro - space tag pins. Some of the most popular models includes Arrow 9S, Arrow 9L, Arrow 9F, Arrow 9EL, Arrow 9SA, Arrow 9SB. Our Textile Cleaning Spray Guns also known as Spot Cleaning Guns, have been designed and developed for spot removal of dirt, oil stains and other stains from textile fabrics and garments, mainly at the manufacturing stage. This equipment sprays solvents and velocity which thereby helps shoot the dirt out from the fabric, hence removing the stains without damaging the fabric.